Create delicious and healthy vegan and vegetarian meals using our extensive selection of beans and pulses including adukis, black turtle beans, butter beans, cannellinis, chickpeas, haricots, kidney beans, mung beans, pintos and a wide range of lentils. 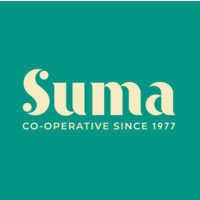 Choose from Suma's own range of 25kg bulk options - great for use in gravity dispensers for your zero waste shop; 3kg family size money savers or our handy 500g pre-packs. We also supply UK grown Hodmedod's beans and peas. Organic options available.